This funky little shop has everything from voodoo dolls, Ex-Wife Stay Away Oil and winning number candles to bobble heads, Elvis memorabilia, refrigerator magnets, T-shirts and posters. 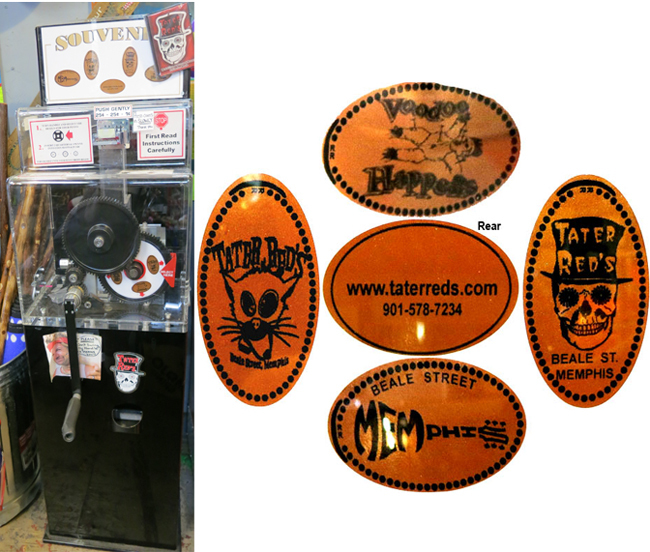 Don t miss Tater Red s Lucky T-shirts and hats. Open daily. 4) Beale ST, Memphis .